Upgrade and Integration of security systems - ΖΑΡΙΦΟΠΟΥΛΟΣ Α.Ε. Why is System Integration so important? With the ultimate goal of always being alert on Security, Fire Safety and Automation issues, for confronting current threats, but also monitoring the technological developments, it is necessary to have high quality Integrated Management of services, infrastructure and equipment, so that each organization is able to readjust its existing security policies and plans based on current requirements. Choosing the right software for central and Integrated Management of Security Systems of all facilities of an organization, can support decision making, both at regular – daily level by the Security Manager as well as at strategic – senior Management level, by reviewing the Security – Fire safety plans, staff training and expansion – upgrading of equipment. In Combination with the possibility of integrated building management system, there is a direct informing of the responsible maintenance staff in cases of critical threshold overruns of temperature, humidity, energy data etc. Consolidation of “scattered” sources of Security data of an organization, in order to exploit to the maximum extent the existing infrastructure, along with new investment in facilities and infrastructure. Provision of the appropriate procedures enabling the transformation of collected data into useable information at the lowest possible cost. 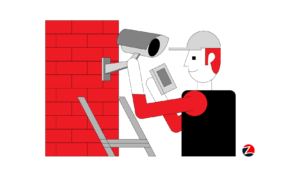 To this end, the Security Systems Integration should be equipped with a high degree of automation and have adequate “building intelligence” in order that management of a large number of buildings from a central office with limited resources, assisted by a few local guards, can become efficient. As an example we mention the automated correlation of an alarm event from the recorded video. Support of integrated management systems for the maximum extent of possible action by the structures and users of the facility. For example, through the unified platform the right people with the appropriate information will be notified through the appropriate means of communication and at the right time, and then communication and cooperation between different users, operators and divisions should be supported at every step of the event management cycle of alarm or access control, until the final resolution of the issues and the evaluation of results. Furthermore, with the common control platform and the gradual setting up of compatible systems, adequate facilities are generated to facilitate the adoption of common policies and security practices at all the buildings of the Organization, helping to implement future actions, which are designed and certified by improved procedures. 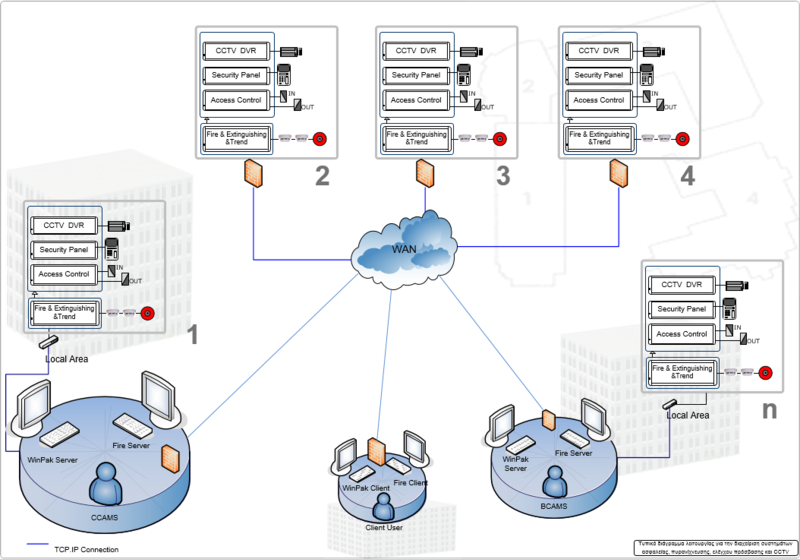 Finally, redundancy is achieved through uniformity / interchangeability of equipment and supported architecture of the central management software to support backup centers at both local (backup / redundant servers and databases) and decentralized level (disaster recovery sites). With the evolution of technology and the gradual support of open communication protocols – interoperability of equipment from different manufacturers, the choice of appropriate software for Integrated Management increases the desired efficiency, while enhancing the reliability of the investment over time. The Greek Company ZARIFOPOULOS SA, has extensive and proven experience in the design, supply, installation and maintenance of Integrated Management Systems, with a large number of systems installed in organizations and businesses of various sectors, including banks, Museums, Embassies, Malls etc. Our experienced and highly trained staff, through years of collaborations with world leaders in the field of security systems, Fire Safety and Automation (Honeywell, HIS, Notifier, Inim, Milestone, Axis, Nedap, Paxton, Advanced, TREND-Control, Optex , Takex, Cias), offers the most efficient integrated management of your systems, together with security and maintenance managers so that procedures emerge that are tailored to the operation of your organization / business, with a view to reinforcing safety, saving resources – energy and respecting the environment. ZARIFOPOULOS has developed solutions adaptable to any environment, covering a wide range of applications, both for small and medium-sized facilities such as offices, shops, banks shops and homes, as well as for large and very large scale applications such as seaports, airports, factories, warehouses, public works and department stores – organizations with geographically decentralized facilities.